People in hospital may be more receptive to messages about promoting health and to information from healthcare professionals. The NHS, our Trust, and our staff – we all have a responsibility to lead by example. The local healthy lifestyles service can support you to stop smoking, one of the best things that you can do for your health. They can be contacted on 0800 122 3788. We are well placed to influence our patients and we want make every contact count. We often have access to groups which are more likely to be suffering from preventable illnesses – health promoting initiatives aimed at these groups can contribute to wider initiatives designed to reduce inequalities. People in hospital may be more receptive to messages about promoting health and to information from healthcare professionals. The NHS, the Trust, and its staff – we all have a responsibility to lead by example. We work with colleagues in organisations across the county to raise awareness of events and campaigns that contribute to people's health and wellbeing. As an NHS provider, the health of the people we treat is important to us, as we seek not just to treat an illness but to look at people's wider needs. Smoking is not allowed anywhere in the buildings or in the hospital grounds. Every ward in our hospitals has a smoking cessation champion who is trained to give advice and support about smoking. If you are a patient and you are concerned about not smoking while in hospital, why not ask to speak to them? We actively encourage people to give up smoking, and if you come to hospital and you do smoke, it is part of our routine care to refer you to the local stop smoking service. Patients who smoke will be offered support to quit and manage withdrawal symptoms through the use of Nicotine Replacement Therapy. Regular activity has a huge number of benefits. Excercise can reduce your risk of major illnesses, such as heart disease, stroke, diabetes and cancer by up to 50% and lower your risk of early death by up to 30%. It’s free, easy to take, and has an immediate effect. Exercise referral. Some patients may qualify for referral to an exercise programme. Please contact your GP for more information. 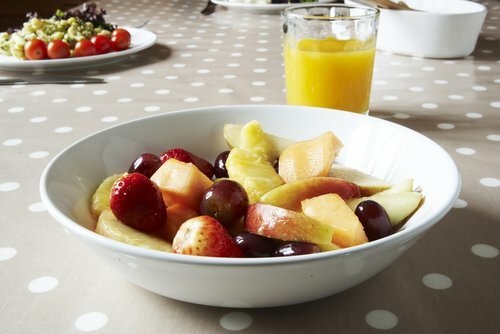 At our Trust we believe passionately in healthy eating and offer healthy choices to patients, vistors and staff through our restaurants and inpatient catering. All our patient meals are carefully planned by dieticians and our catering staff have introduced a series of measures to reduce the levels of salt in food. We have also introduced protected mealtimes for patents who may need help and support with eating and drinking as well as producing meals for a variety of special diets. Mental health problems are common - but nearly nine out of ten people who experience them say they face stigma and discrimination as a result. This can be even worse than the symptoms themselves. If you feel stressed, anxious or depressed, you are not alone. These are some of the most common problems that affect thousands of people everyday. We all go through difficult times but sometimes our problems can start to affect our daily life. If you're concerned about how you're feeling, why not check your wellbeing with this online self-assessment tool. Everyone needs to talk from time to time. Let’s Talk is an Improving Access to Psychological Therapy service (IAPT). It is free and provided by your local NHS. We offer information, guidance and therapy during times when you feel stressed, anxious or depressed. Drinking alcohol in moderation can be enjoyable for many people, but drinking excessively or 'binge drinking' can have a harmful effect and can lead to serious health problems. Most people who have alcohol-related health problems aren’t alcoholics. They're simply people who have regularly drunk more than the recommended levels for some years. Regularly drinking more than the recommended daily limits risks damaging your health. For further information on alcohol and a range of health and wellbeing topics, visit the NHS.UK Live Well website.